Although women's representation among international migrants in many countries has risen over the last 100 years, we know far less about gender gaps in the labor force participation of immigrants across a wide span of host societies. Prior studies have established that immigrant women are doubly disadvantaged in terms of labor market outcomes in the United States, Canada, and Israel. These studies suggest an intriguing question: are there gender gaps in immigrant labor force participation across destinations countries? In this paper, we investigate the extent to which the double disadvantage exists for immigrants in a variety of host countries. We also examine how marriage moderates this double disadvantage. For the United States, although we find that immigrant women have had the lowest labor force participation rates compared to natives and immigrant men since 1960, marital status is an important stratifying attribute that helps explain the nativity differences. Extending the analysis to eight other countries reveals strong gendered differences in labor force participation and shows how marriage differentiates immigrant women's labor force entry more so than men's. 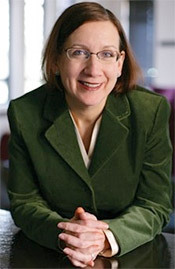 Katharine M. Donato is Professor and Chair of the Department of Sociology at Vanderbilt University. She is currently co-PI on a project that examines environmental stress and migration risks in Bangladesh, supported by the Office of Naval Research. Her research is focused on questions related to Mexico-U.S. migration, gender and migration, and how environmental conditions affect migration. From 2010-13, she was editor of the American Sociological Review.